We have gained years of experience and in-depth knowledge in manufacturing, supplying and exporting Manual Top Discharge Centrifuge. These products widely demanded by various industries such as petrochemical, textile, automobile and pharmaceutical. All the products are properly packed using quality packaging material to ensure security during transit. We also provide tailor-made solution for our Manual Top Discharge Centrifuge as per customers demands. Manual Top Discharge Machines are available with full mouth body mouth open lid, full lip mouth open lid and 3/4 lip mouth open lid. 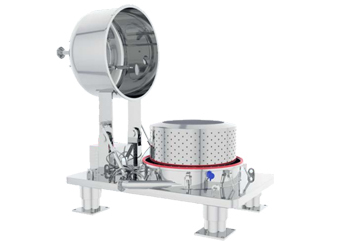 The washing & feeding is designed to meet Product requirements. The Manual Top Discharge Machines are available from as small as 8" dia to as large as 72" dia. We have made as large as 72" dia Basket Size of our STD Model 180-4 centrifuge machine giving cake load of 1000 lit/ 1200 kgs per batch. • Fine finish and easy installation. • Corrosion and abrasion resistant. • Hardened and grounded with manual band brake and shaft. • Has outer body support with interlock safety cover. • Provided with inner basket. 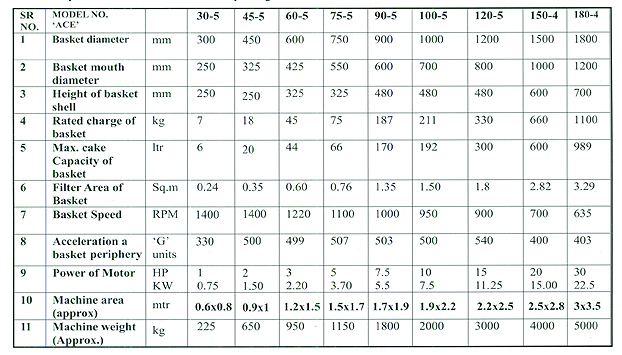 • To reduce the load on the motor is machine is provided with fluid coupling and clutch pulley. • Full mouth open lid. • Full body open lid.